For PTSD treatment, Adrenaline junkies,and training? According to a lecture given by the Argentine President on February 7th, 2012 there have been 439 Argentine war veterans deaths since 1982. There are no official figures of how many of them might have been as a result of suicides. Sher proposed a model of suicidal behavior in war veterans with "posttraumatic mood disorder PTMD. The model consists of the following components: (1) genetic factors; (2) prenatal development; (3) biological and psychosocial influences from birth to mobilization/deployment; (4) mobilization/pre-deployment stress; (5) combat stress, traumatic brain injury, and physical injury; (6) post-deployment stress; (7) biological and psychosocial influences after the deployment; (8) trigger (precipitant) of a suicidal act; and (9) suicidal act. 45 percent reported they saw dead or seriously injured non-combatants, and over 10 percent saying they were injured themselves and required hospitalization. Rates of PTSD and major depression were highest among Army soldiers and Marines, and among service members who were no longer on active duty (people in the reserves and those who had been discharged or retired from the military). Women, Hispanics and enlisted personnel all were more likely to report symptoms of PTSD and major depressions, but the single best predictor of PTSD and depression was exposure to combat trauma while deployed. 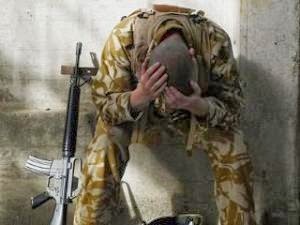 (RAND Corporation- One In Five Iraq and Afghanistan Veterans Suffer from PTSD or Major Depression). According to a 2005 VA study of 168,528 Iraqi veterans, 20 percent were diagnosed with psychological disorders, including 1,641 with PTSD. Professor Wessely suggested several possible explanations for differences in PTSD rates between US and UK troops. When the wars began, troops in the British forces were on average older (27) than their U.S. counterparts. They had proportionately more officers and used fewer reservists (10 percent vs. 30 percent). Many had experienced prior deployments in other parts of the world. Virtual reality therapy (VRT) is also known as virtual reality immersion therapy (VRIT), Simulation for Therapy(SFT), virtual reality exposure therapy (VRET), and as Computerized CBT (CCBT). An early exploration of VRI was done by Dr. Ralph Lamson a USC graduate then at Kaiser Permanent Psychiatry Group. He created a simulation in the early 1990s[ as a means to solve his own acrophobia.. About the same time, Dr. Larry Hodges, then a computer scientist at Georgia Tech active in VR and Dr. Barbara Rothbaum, a psychologist at Emory University, began studying VRT in cooperation with Dr. Max North. 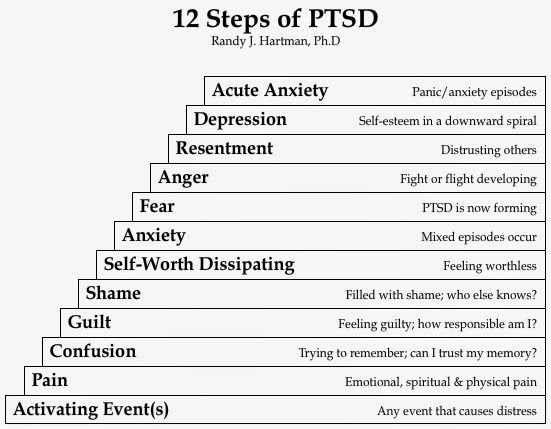 Virtual Iraq was subsequently developed and proved successful in normalization of over 70% of PTSD sufferers, and that has now become a standard accepted treatment by the Anxiety and Depression Association of America. VRIT has great promise since it historically produces a "cure" about 90% of the time at about half the cost of traditional cognitive behavior therapy authority, and is especially promising as a treatment for PTSD. According to Rizzo et. Al (2003), virtual reality technology should only be used as a tool for qualified clinicians instead of being used to further one’s practice or garner an attraction for new clients/patients. Another ethical issue is the issue of who is developing the virtual reality and thus benefiting from its sale? Dr. Greg Reger talks about PE Coach, the first mobile app for PTSD treatment, in an interview for the Pentagon Channel. PE Coach was released on July 31, 2012 and is available for Android and Apple devices. (http://www.t2.health.mil/news/pe-coach-pentagon-channel).Dr. Greg Reger is a licensed clinical psychologist who completed his Ph.D. at Fuller Theological Seminary. He is currently leading T2’s testing of Virtual Reality and Prolonged Exposure therapies for PTSD. Prior to joining T2, Dr. Reger worked for the Center for Deployment Psychology (CDP), served at Walter Reed Army Medical Center, and deployed to Iraq in 2005-2006. U.S. Army Sgt. Chad Parrott and Capt. Greg Reger demonstrate a simulator used to help in the treatment of post traumatic stress disorder at Madigan Army Medical Center, Fort Lewis, Wash. U.S. Army photo by Jason Kaye. http://www.defense.gov/transformation/articles/2007-03/ta032907b.html. In February 2006 the UK's National Institute of Health and Clinical Excellence (NICE) recommended that VRIT be made available for use within the NHS across England and Wales, for patients presenting with mild/moderate depression, rather than immediately opting for antidepressant medication. The program guides users through a scenario in an Afghan marketplace that could trigger post-traumatic stress. It explains different emotional connections that might develop over time. Throughout the scenario, users can monitor their stress and click away to a “relaxation room” where they can look at calming images and practice breathing.Throughout the scenario, users can monitor their stress and click away to a “relaxation room” where they can look at calming images and practice breathing. The graphics-dense immersive simulation requires a broadband Internet connection, he said. 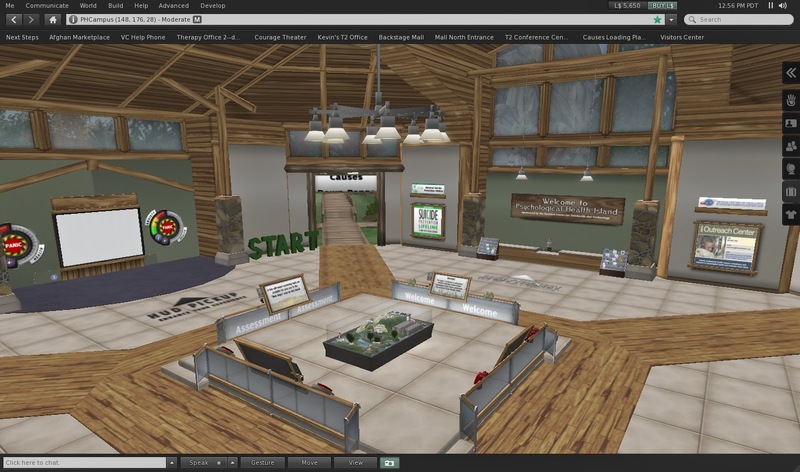 Users must download a copy of the Second Life world and then can access the world from any computer with a broadband connection. Several studies have demonstrated that symptoms improve after virtual-reality exposure, and at least one study, which used functional MRI, indicated that the therapy tends to restore patients' brain activity to more normal patterns. No treatment works for everyone, however. Even in the most successful tests of virtual reality, about a quarter of patients continue to meet criteria for PTSD after treatment. Virtual reality may be a useful weapon in the battle against PTSD, but it is by no means the end of the war. Ashton,Adam-For post-traumatic stress victims, Pentagon video game may help healing-The Washington Post-, January 31, 2011. http://www.washingtonpost.com/wp- dyn/content/article/2011/01/31/AR2011013101528.html. 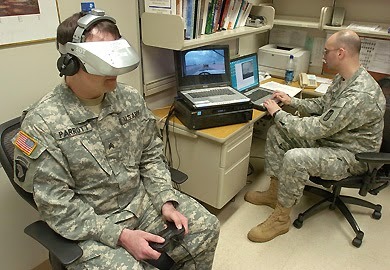 Ashton,Adam-Virtual world developed at JBLM helps soldiers explore PTSD causes, symptoms-The News Tribune-June 19,2011. Dema, Veronica- Por qué se suicidan cuatro veces más los hombres que las mujeres-La Nación-31 de enero de 2014. 8-Franklin,Paul-In 2013 Suicides took everyone by surprise the victims ranged from currently serving members to vets long out of the military. http://mcplpaulfranklin.blogspot.com.ar/2014/02/in-2013-suicides-took-everyone-by.html. Friedman,Matthew-Acknowledging the Psychiatric cost of war- The New England Journal of Medicine,351;1, July 1, 2004. Friedman,Matthew-Prevention of psychiatric problems among military personnel and their spouses-The New England Journal of Medicine- 362;2, January 14, 2010. Galak, Oliver-No cesan los suicidios de ex combatientes de Malvinas-La Nación 28 de febrero 2006. Harvey,Samuel B. Et al- The Long-Term Consequences of Military Deployment: A 5-Year Cohort Study of United Kingdom Reservists Deployed to Iraq in 2003 - Am. J. Epidemiol. (2012) 176 (12): 1177-1184. Hoge,Charles et al-Combat duty in Irak and Afghanistan, Mental Health Problems and barriers to care-The New England Journal of Medicine , 351;1-July 1, 2004. Holbrook, Troy Lisa et al-Morphine use after combat injury in Irak and Post traumatic stress disorder-The New England Journal of Medicine- 362;2-January 14,2010. 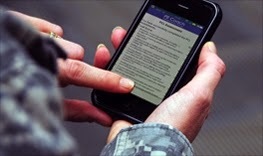 KOMO Staff-Virtual world aims to help soldiers battling PTSD-Jan 19,2011. Pellerin,Cheryl-Virtual World’ Helps With Post-traumatic Stress.American Force Press Service,Jan 19,2011. Price, HH Capt-The Falklands: Rate of British psychiatric combat casualties compared to recent American wars-J R Army Med Corps 1984; 130:109-113.